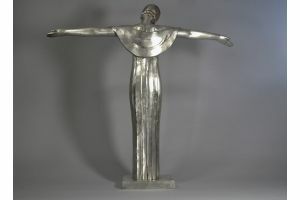 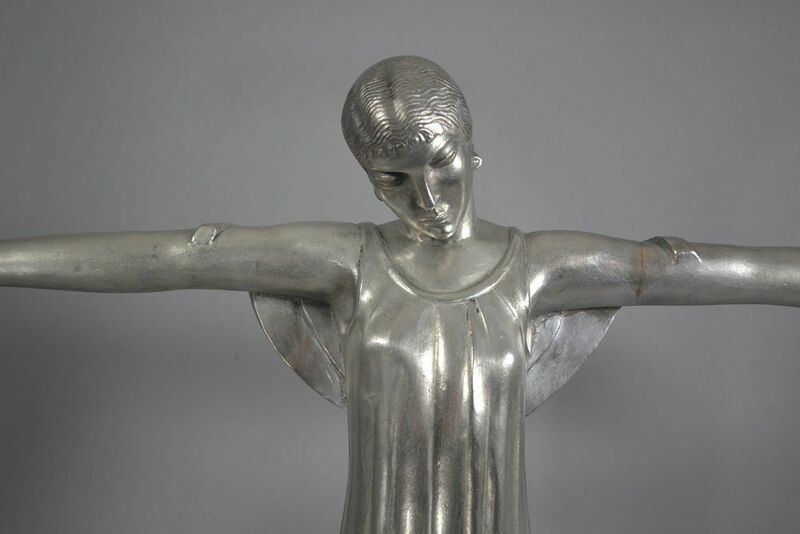 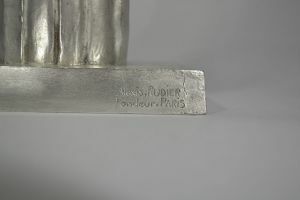 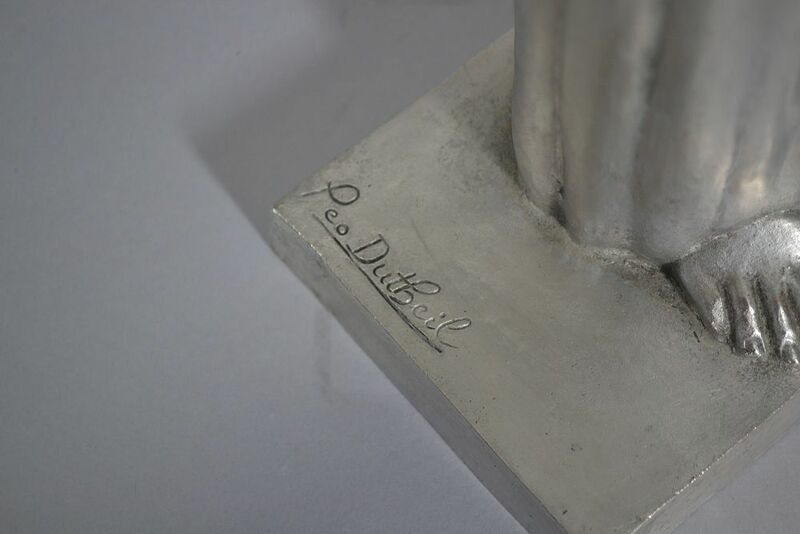 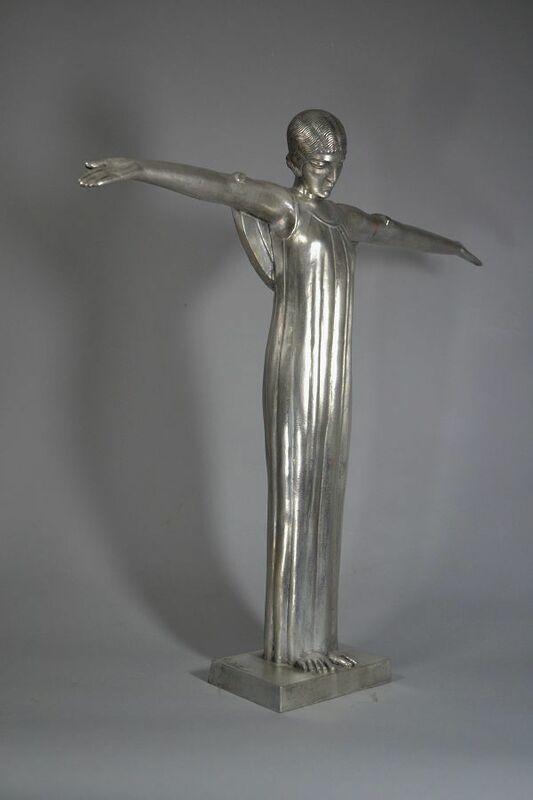 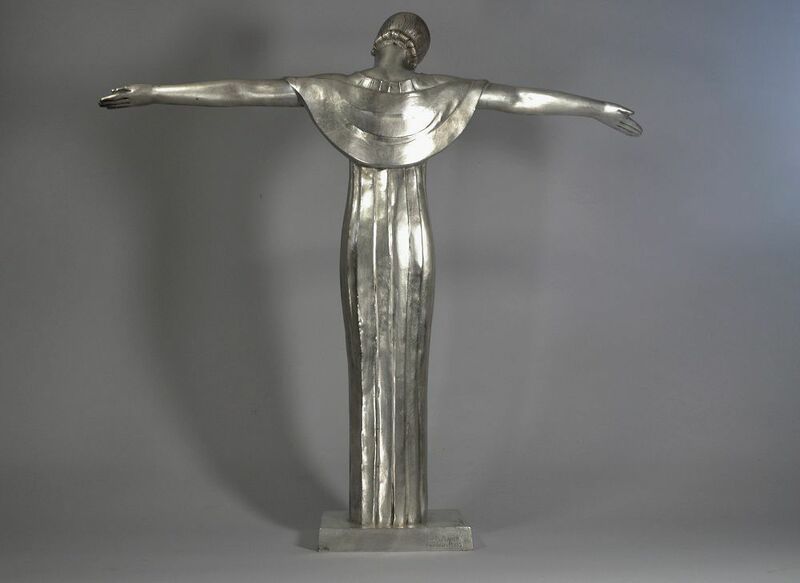 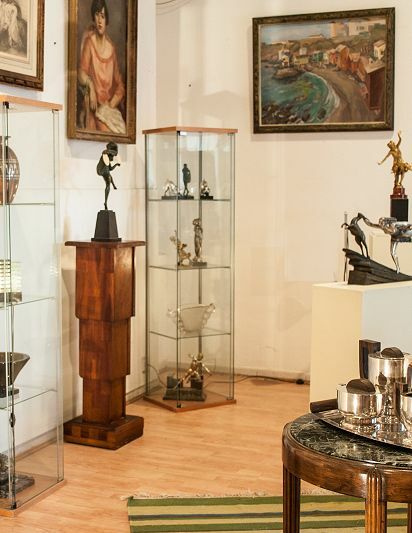 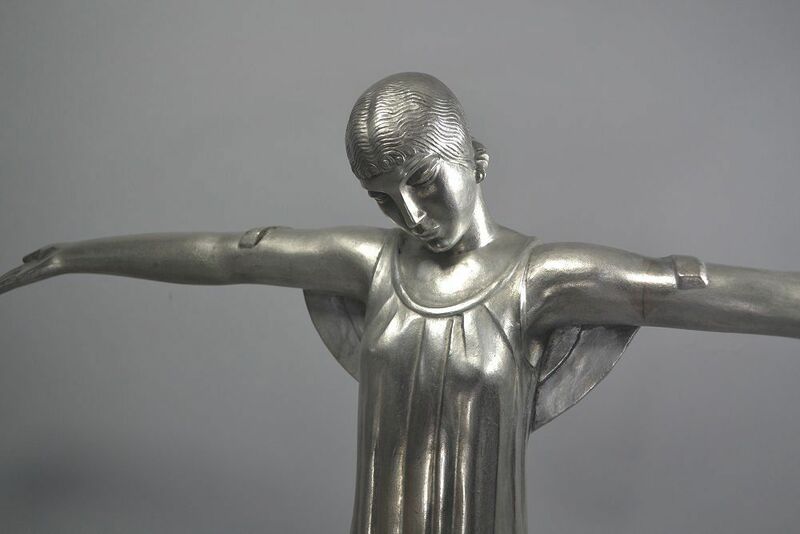 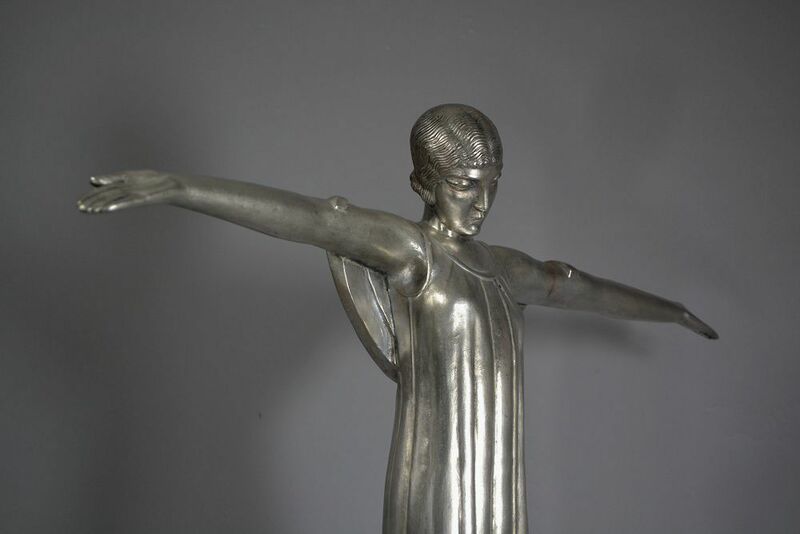 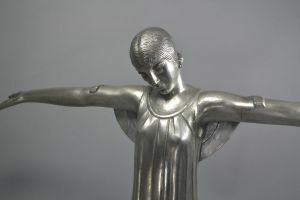 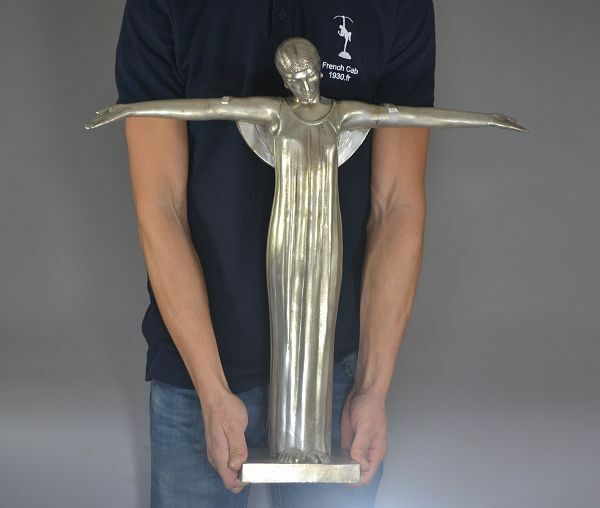 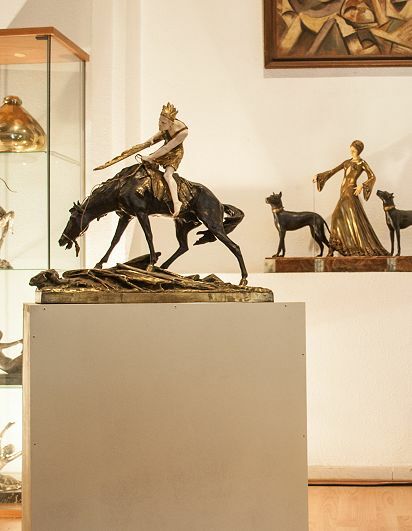 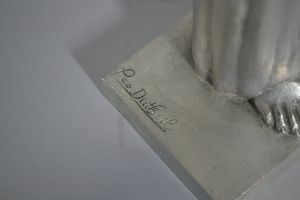 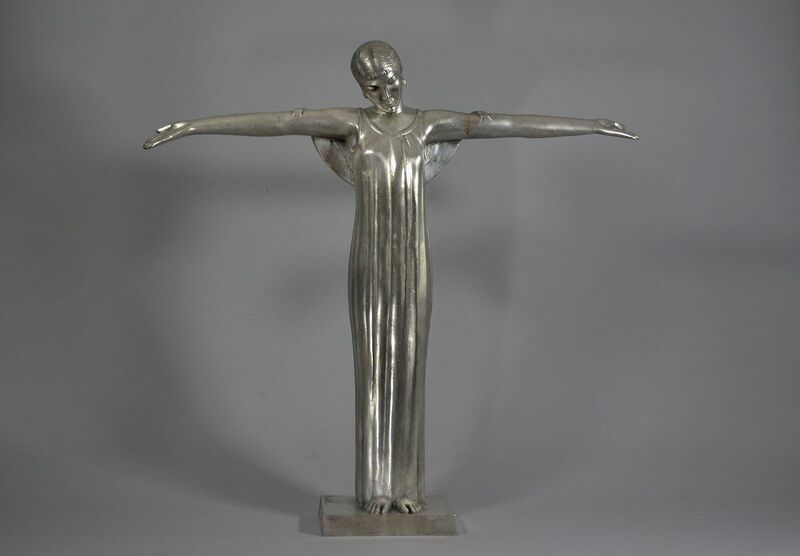 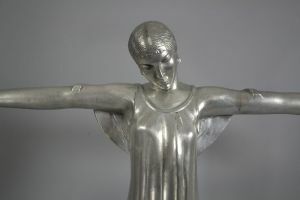 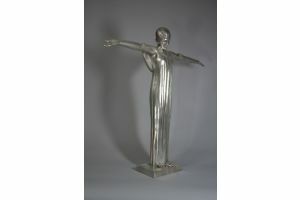 A tall art deco symbolist silver plated bronze sculpture. 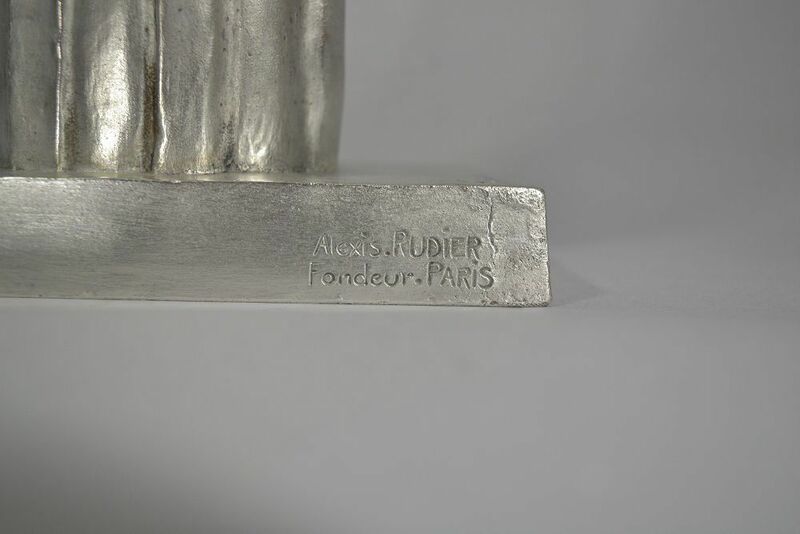 Very nice quality of foundry and chasing. 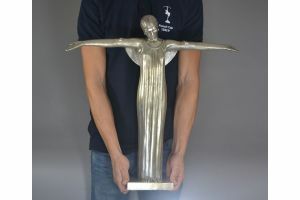 Impressive 60cm high and wide.